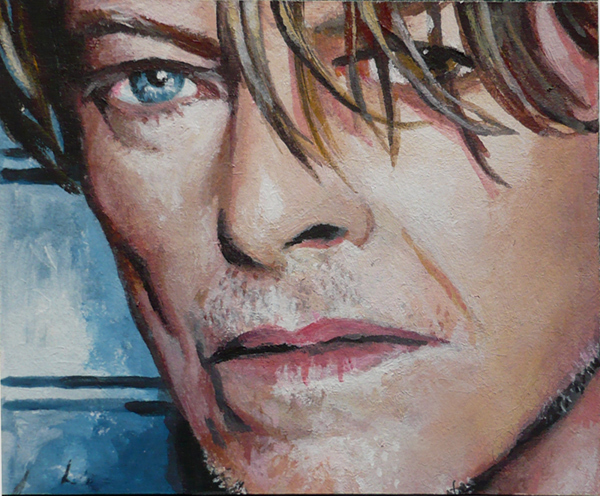 “That whole dark and rather fearsome never–world of the wrong side of the brain.” -Bowie, on his interests. This is not an obituary, but an explanation. It’s curious when celebrities die. When Michael Jackson expired at the young age of 50, there was worldwide grief. I thought it was sad, especially for his young children. But I didn’t feel it was a particularly life-changing event for me. When Kurt Cobain slipped the mortal coil, I’m told teenage boys in high schools across the country were drowning in tears. I thought that was curious, and maybe even morbidly amusing, but went about my day unaffected. And when Robin Williams took his own life, the Internet was lit with comments from fans who felt unable to face the world, though I was personally never a particularly passionate fan. I never reproached grieving fans for their emotional reactions to the passing of people they never knew personally. I didn’t really understand it; but I would never deny a human being her right to express true sadness. I also knew, though, that the only famous person who could render such a reaction from me would be David Bowie. But I also knew –as did so many of us who had been enchanted by his artistry for decades– that that day would never come. Bowie was immortal. You knew it and I knew it. 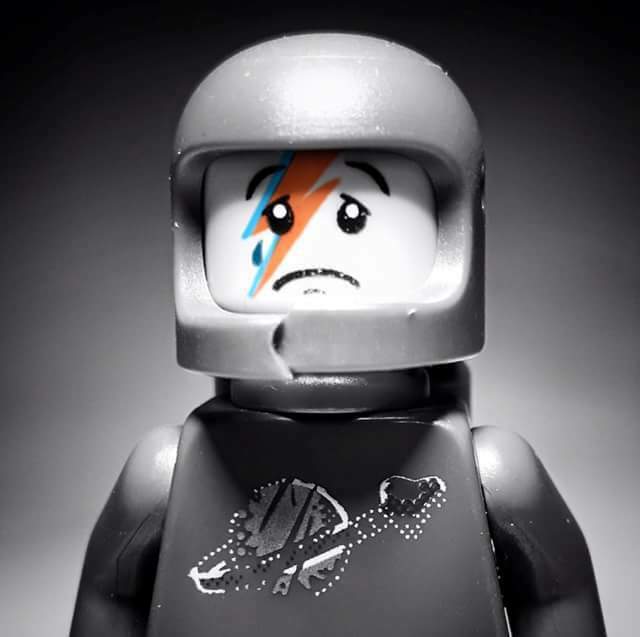 I’ve often thought about the the litany of Bowie’s colleagues who fell prey to the shadow of early passage –Stevie Ray Vaughn, Mick Ronson, Lou Reed, Klaus Nomi, etc– and wondered how the Great Man himself, he who had fallen to Earth, had felt about so many of his peers falling by the wayside, as he miraculously continued to flow forward in time, seeming to only grow healthier, both in body and spirit. The curse of immortality, after all, is to have loved ones regularly wrenched from one’s arms, and Bowie was a special kind of immortal. Despite his age, he was always a man of his time, yet also a moment ahead. Ethereal in his presence, detached but warm in his public attitude, he embodied so much of what many of us had subconsciously learned to expect from a Tolkien-esque mythical immortal: an unearthly being who was simultaneously mostly beyond our pettiness and yet addicted to our fleshly, Earthly temptations, as would a child at a dessert buffet. Immortal, yet human, in all the good, meaty ways. It was thus the deepest shock to many of us, his fans, when he proved to be mortal and subject to the banal forces of time and biology. I was struck with a curious and confusing grief upon learning of his death, and it has taken me several weeks to find the clarity to write about this most interesting of modern artists. Believe it or not, I had been thinking of this day for several years now, wondering what I would write when Bowie left us, and what date in the late 23rd century that day would be, if indeed it ever came at all. What I always landed upon, when contemplating his theoretical and unlikely death, was what his life had taught me about my own life. Great individuals teach us things. Even so-called celebrities, whose lives and activities might seem to many to be childish and superficial predilections, offer in their demeanour or body of work lessons to enrich our more banal existences. Originally a paralytically shy child, I actually learned to be a public speaker by watching Michael Jackson. His behaviours and rituals before big shows, developed through a lifetime spent in the spotlight, revealed to me a self-hypnotic, almost spiritual mindset which, when adapted for my personal use, proved to be the secret to being comfortable in the public eye. Today I’m quite happy to give completely ad-libbed talks in front of hundreds of spectators –a feat that would have horrified me decades ago. I also suffer from a speech impediment. I talk too fast, mumble and stutter. Some words, like “statistical”, I simply cannot pronounce in normal everyday conversation. To this day, I am sometimes mocked for this impediment, though it is a clinical thing that I cannot control…. except that I can. After dissecting the speech patterns of William Shatner and Patrick Stewart (yes, I’m a geek), I developed a modulated speech pattern that I only use on stage and on camera, and which instantly makes my impediment less noticeable. I learned how to do this mostly from watching celebrities. I didn’t learn to swim until I was 19. (It’s a long story. Don’t ask.) Taking lessons in the University of Toronto pool, I struggled to figure out just how to get my arms to move in coordination with my head. While watching Magnum P.I., I noticed how Tom Selleck was swimming. “Eureka!” I hopped onto my bicycle immediately, headed to the pool, and did a perfect front crawl for the first time in my life. Tom Selleck had taught me how to swim. One day I should send him a note to thank him. But what did Bowie teach me? His death hit me hard. He wasn’t just a singer, a songwriter, an actor, or a public figure. There wasn’t a particular skill or technique that I stole from him. His contribution was something more profound and subtle, and possibly obscure. He was, in essence, an artist, in the purest meaning of that overused and poorly understood word. To live a life of art, as a being of art, is to live authentically and internally, while being engaged with both the surface and hidden depths of the world. It’s difficult to speak of such a thing without slipping into that horrible realm of dippy pretense. To those who understand, no explanation is necessary. For those who do not, it is likely that no explanation will be sufficient. And yet I will attempt one. I’m a scientist and an educator. I cannot imagine a scenario in which anyone would describe me as an artist, though my writing has been funded by grants from the Toronto, Ontario and Canada arts councils. Yet today, I serve on the Board of Directors of one of this country’s wealthiest and biggest arts organizations. I do so because I have learned that there is something particular about an artistic experience that sometimes permits the human animal to access the essence of our purpose; and that’s an opportunity I want everyone to have. The more eloquent lifelong martial artists will sometimes speak of finding moments of movement expression that allow them to touch the divine, if only for a fleeting heartbeat. Those who create may, in a moment of still honesty, consider the field of warm oblivion that is quietly accessed in a nerve-tingling torrent of innovation; it is an experience of suspended profundity. Yet those are fleeting moments. The challenge is finding a path to hew, an avenue or artery or map to formulate understanding. Are we but biological machines that seek survival and reproduction? Or are we something more? Even a cursory exploration of this question will reveal a hidden language beneath the skin of reality, one whose first lexicon is shared archetypes, and whose deep grammar is formed of metaphor, meme, and symbol. To speak this hidden language is to utter truth. There is nothing more important, fleeting or difficult to identify than truth. I am reminded of one of the earlier Pancrase (a mixed martial arts organization) pay-per-view events. It was called “Truth”, and I immediately understood why. The artistry of combat is not necessarily or simply the expression of physical ability, but its potential for stripping away the illusions that the participants tend to construct for themselves. “Truth” speaks to why these men ultimately chose this path. A life lived artistically is one that has embraced its truth, even its flaws. 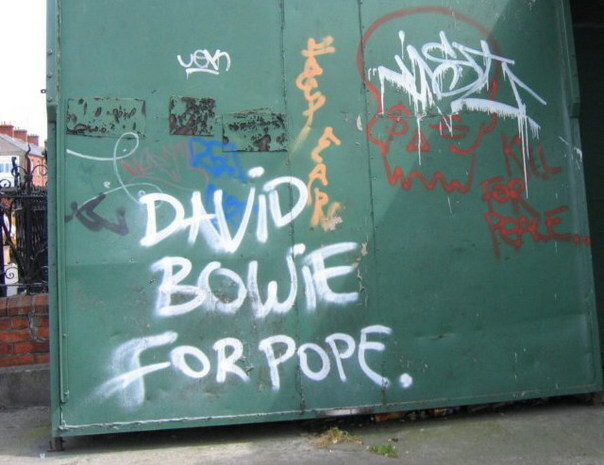 David Bowie was a man of many flaws. He had a failed marriage, was an alcoholic, an abuser of harder drugs, and had many failed recordings and films. He never shied away from, or disavowed, these failures. Rather, they were opportunities for personal growth. That was the first lesson of artistry I learned from him, that failure is opportunity, and that a full life is not one filled with victory, but one peppered with starts, stops, and depths of feeling. It was a necessarily poignant lesson, especially for disenfranchised youth who are, almost by definition, creatures of failure. The second lesson was that life is diverse and filled with change, something of a defining trope in Bowie’s life. It’s a truth that I internalized quite exuberantly. We have such little time, yet there is so much to learn, know, and experience. I learned early that experiences are to be fully felt, then allowed to pass respectfully, for new ones wait to be indulged. In a world that is strangely vertical and specialized, I felt free to be curious about many things simultaneously, to attempt to eschew the convenient labels of profession or clique. It’s a special kind of liberty that I wish more people could embrace. The third lesson was not to live in the past. There is a Bowie quote that struck me hard, decades ago, that I have never let go. He said, essentially, that he never looks back, is never nostalgic. I knew it was a lie as soon as he spoke it. It wasn’t an utterance of fact, but of desire. He finally gave up striving for that particular goal when he released his “comeback” album, “The Next Day“, which was dripping with nostalgia. But I did not reproach him that backstep, just as I did not reproach him for his other failings. He had accepted his truth, after all. To this day, though, I eschew nostalgia. I find it is a sure path to genuine aging, both physically and mentally. Increasingly, I fail at it, too, just like Bowie did in his later years. Perhaps it is an unavoidable consequence of aging. Yet another truth revealed. The last and most important lesson offered by the life of Bowie really is the entirety of his path. To be different is not easy, especially for the young. It is to endure mockery, sometimes abuse. To have interests beyond those expressed by the hockey-playing, skirt-chasing lads of the banal street is to invite seclusion and exclusion. To question societal roles when your peers are celebrating theirs is akin to openly declaring one’s intent to be victimized. To those who were different, who sought something deeper in life, who wished to sip from all the goblets lain out across the grandeur of the world’s tableau, David Bowie was a beacon. He gave us permission to be different. And, in the end, is that not the essence of the artist? No one knows what a “blackstar” is. Some say it is a type of cancerous cell. Others insist it’s a reference to astronomical collapsars. Some close to the recording insist it is a political song, perhaps about terrorism or the rise of Islamic fundamentalism. The “villa of Ormen” mentioned in the song can be translated to “house of the serpent”, which evokes ancient, preternatural thoughts about the truth of the natural world that perseveres beneath the illusion of perceived reality, a dark unconscious universe that can never die, but is only reborn evermore. Enter the ouroboros, the ancient symbol of a snake eating its tail, representing eternal re-emergence. Perhaps it’s the final image of the artist known best for re-imagining himself. Or perhaps it’s his final statement about death, about his hope that that final passage is nothing more than rebirth. Yes, he showed many of us how to live. It seems, in the end, he also showed us how to die. (See a palliative care doctor’s posthumous letter to Bowie.) Though I was distraught for several days after his death, increasingly I am simply awed and buoyed by the remarkable manner in which he went out. Only Bowie had the artistry to pen this most subtly expressive of departures.